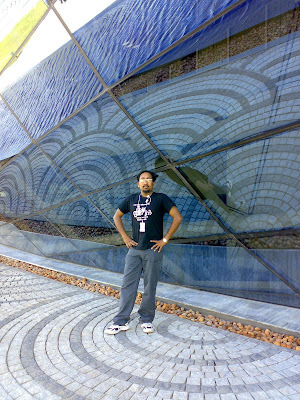 Here are first pics of mine in Pune DC , Infosys Technologies Limited , a place i still did not appreciate and hate it to the core of my heart. A place where an employee of infosys will feel as if he is cursed to work here. 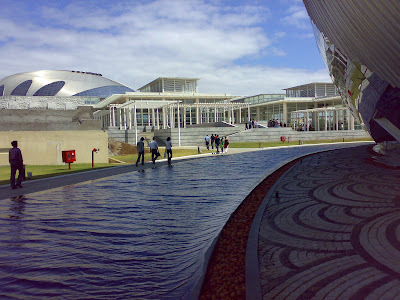 all used to say Infy is not the correct place but Pune has proved me or made me to believe that Bangalore office of Infosys was better than Mys or Pune , in fact even if i dare compare bangalore infosys to Pune campus, it will be an insult to the bangalore infosys office. not only bangalore was more clean , and tidy but also well maintained. First few weeks in Bangalore were tough though , now all seems fine , and i am starting to love the company of good friends here. And lunch time is one of the best times , good food and company. Then home now also is much better than the Infosys Accomodation where nothing seemed to be going right. Lets see , and hope my this Pune term comes up well and fine and short enough. This was my second last night in Bangalore and we decided to go for a grand dinner , and it was hard venue to decide. And it was getting harder with some of us wanting to party all night , or go on to some dics. But this was just in planning when Fateh decided to go to Samarkhand. Now where is this samarkhand , and we are off to wikimapia. Directions to Place: From Kumble Circle ( MG Road) , go straight , and from second cut take Right. just after first cut u will see the place. Do refer to Wikimapia . Then at 730 when we were in our places , we called Fateh to be informed the tables are booked at 8:30 and no where we cud have reached in time , and we rushed to get ready. finally losing the way to Kumble Circle and made a few wrong one ways and finally reached the place , safe and sound. Then we partied there. The starters were superb and nearly filled the stomach , and then we went ahead to have our dinner and desserts ... But it was a night to remember with funs , jokes and most important, My last masti moment in MG Road Bangalore , atleast for that period. and i am not at all enthusiastic to move back to blore once more , one stint with this death defying city is more than enuf for me .